The Golden Guardians have made a great turnaround from last year. 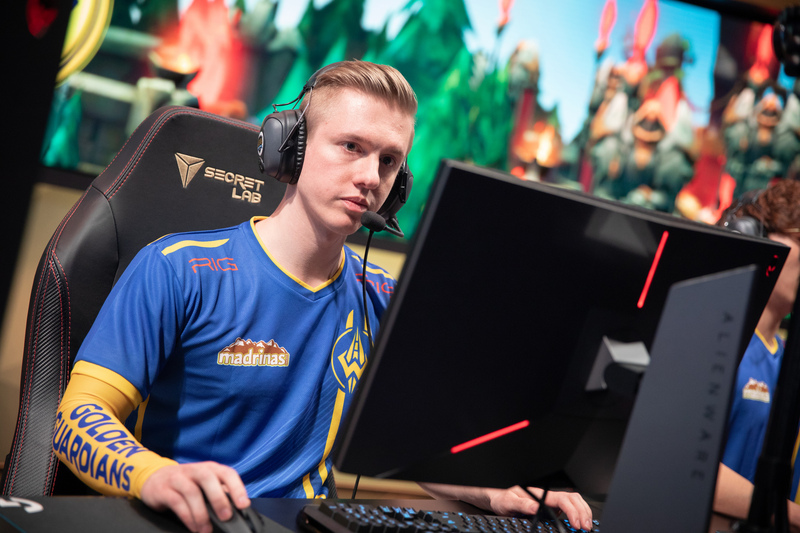 After a great team win against OpTic Gaming in the final week of the 2019 LCS Spring Split, Golden Guardians are heading to the LCS playoffs for the first time in franchise history. This is a great sign for the future of the team, seeing as they took last place in back-to-back splits last year. After another disappointing split, Golden Guardians made some pretty drastic changes to its lineup by dropping a majority of the team. The roster was filled in by picking up former TSM top laner Kevin “Hauntzer” Yarnell, support Kim “Olleh” Joo-sung, and veteran mid laner Henrik “Froggen” Hansen. This is also the first LCS playoff appearance for Froggen, who’s now spent more than two years in North America. He has never had a chance to prove himself in the playoffs due to all of his teams struggling to find success in the regular season. Froggen actually took a year-long break from LCS play following his release from Echo Fox, where he ended both 2017 splits in eighth place. He came into 2019 with this new-look Golden Guardians roster trying to prove to the world that he’s still a dominant force in the mid lane. In fact, many of the newly-added players on Golden Guardians had a lot to prove this year. Hauntzer was coming off one of the worst splits in TSM’s history and Olleh was recently replaced by Team Liquid after their early exit from Worlds 2018. Every player has a chip on their shoulder, so we’ll see if that can give them an advantage heading into the playoffs.